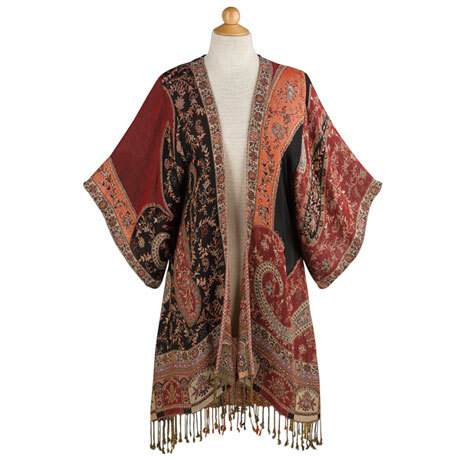 Dress up jeans and a simple tee with this fabulous light weight Jacket. Exotic paisley and floral prints are pieced with rich red and slightly sheer black for a look part Bohemian, part old Hollywood. 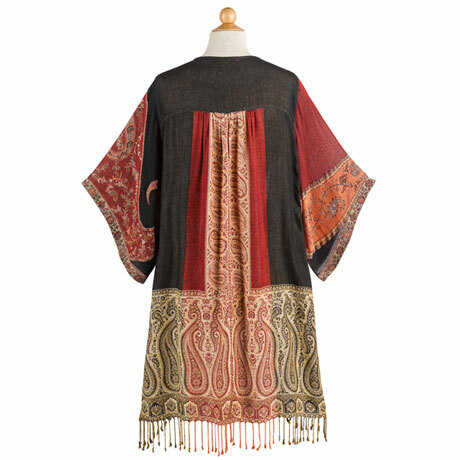 Jacket has an open front, ¾-length kimono sleeves, and a long handbraided and knotted fringe at the hem. Sizes S/M(8-12), M/L(14-18). Hangs 37" in back, slightly shorter in front. Machine wash. Imported.